$50 off for a Limited Time Only! 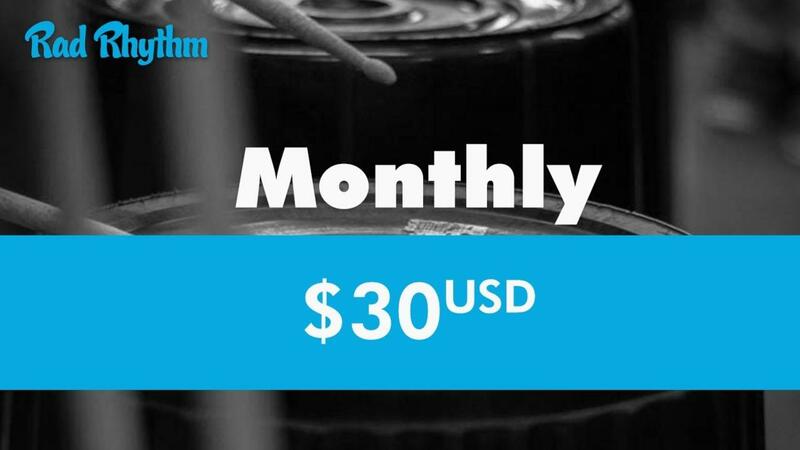 Get All Access to Rad Rhythm on a monthly subscription! 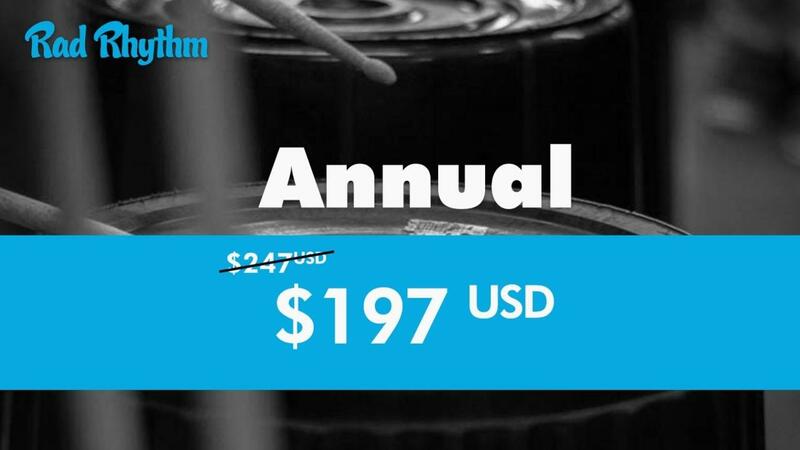 Get All Access to Rad Rhythm for a whole year and save $50 for a limited time! "We have loved the Rad Rhythm programme and have felt that it enabled us to be able to deliver quality music lessons to our students without needing to be musical specialists ourselves. The students have really enjoyed participating, so we are really pleased to see that you have brought out a second series for Y5-6, which means we can use the programme each year for our music lessons, rather than only every second year." "We've really enjoyed the programme! My students have looked forward to the sessions and have bugged me to do more - they're loving it! The programme has been taught predominantly by another teacher during my release time - she has loved it too! Its been really good to leave her this work as its meant that both she and my class have been really excited about my release times!! Thanks Rad Rhythm. You've prepared a really good programme which is easy to teach! Well done!" "We had a wonderful term in term one using the Rad Rhythm programme. Every teacher I spoke to really enjoyed running the programme and in particular students were fully engaged. Those of us who are not so musically inclined found it a challenge to keep the beat in some songs, but the beauty of the programme is those (students) who got it, we got them to teach. I would highly recommend this programme to other school." "The instructions on the video were clear and easy to follow. It was great that they repeated as the students came to master and run them themselves. Each step of the drum style was broken down and modelled. The beats were fun. Students finished with both a theoretical and practical understanding of drumming. It was really easy for teachers to work through the lessons. You made drumming fun. This is goal number one when introducing students to a new experience." "The team at GoodTime Music Academy have created an amazing tool! I have been running the Rad Rhythm programme in my class this term and it has been a huge success. I love music myself, but anyone can run this programme as it is set up so well. My students are so motivated and keen to learn. Every day they ask me when the next session is. I love it!" "We had our first session today and the kids just LOVED IT! I have a class of year 3 to 7 students and its proving to be a great hit with all of them. I am struggling with the first drum beat but I won't let it beat me!! We can't wait to do session two!!" "Showing the students the 'performance' gives them something to aim for and makes the concept 'visual'. Explaining rules provides the expectation in behaviour. Giving students a sound cue to get their attention is a great idea to introduce different percussion instruments. Your presentation is presented with enthusiasm and humour...something our boys need! Time clock sets limits and gives visual cues of time passing." "The children at Trentham School love the Rad Rhythm programme and look forward to each session. They are engaged and motivated throughout the whole lesson. There are a range of skill levels across our syndicate, with regards to both the teachers and the students, and we all learn something new each lesson. It is super easy to implement the lessons, and if we don't understand a concept, need more time, or grasped the ideas quickly, we could "rewind", "pause" and "fast forward" at our discretion - though generally lessons are well paced. We appreciate the supportive emails from Jonny and his team, checking in with us as well. Thank you for this programme. " Enter your details and the number of drumsticks required below. An invoice will be sent to the provided email address, and drumsticks will be sent once payment is received.